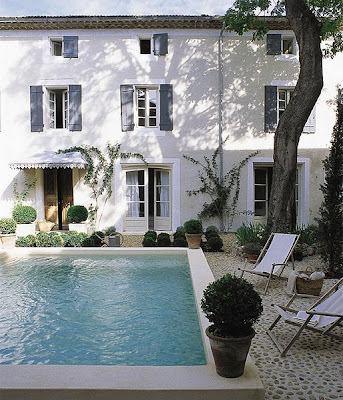 I wish my house is big enough... love the simplicity, the clean lines of the pool, the muscular tree trunk, the shaded sitting area, the window shutters, the deck chairs, the rustic yet neat atmosphere.. LOVE.. I love the door. Need to change my front door but don't hv the budget yet. I m happy to found that u re blogging. So i can keep in touch eventhough if it meant for one way communication.